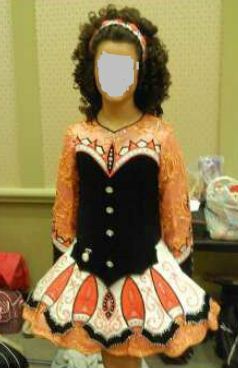 Beautiful Shamrock Stitchery dress about 2-3 years old. Selling dress due to growth spurt. 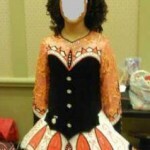 This dress has excellent stage presence and is perfect for dancer in Novice or PW levels. This dress was let down once and was worn by dancer who was between 5′1″ and 5′5″. 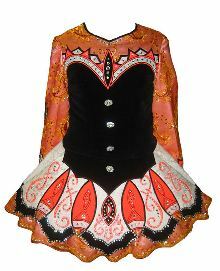 Includes soft cape, bloomers and backing for crown. Feel free to contact me with any questions and additional photos. Price is negotiable. Note: Measurements were taken from outside of dress while on hanger. Length is 29.25 in front from seem to edge of dress. The back is from top of zipper to edge of dress which is 30 inches. Bodice originally 14 inches.. There is no more room for let down. However, there is about 4 inches of let out on side seems and zipper combined.